Canadian auto dealers will be prohibited from selling some unfixed recalled vehicles if a bill before the Senate of Canada passes. 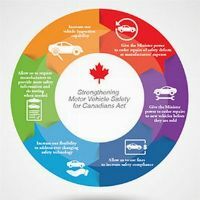 The Strengthening Motor Vehicles Safety for Canadians Act has undergone first and second readings in the Senate and was returned to the Red Chamber from committee in late November. Proposed amendments to the Canadian Motor Vehicles Safety Act contained in the bill would directly affect the sale of some recalled vehicles. It would give the Canadian Minister of Transport the authority to prohibit the sale of a vehicle that is subject to a notice of defect or non-compliance. We can all breathe a little easier. Or, more precisely, all you Canadian owners of Dieselgate-afflicted Volkswagen TDIs can breathe a sigh of relief. You’re not going to get screwed. Fair treatment wasn’t always a given. In fact, among Canadian TDI owners – at least, those posting online – there was a fair bit of trepidation. Yesterday’s settlement of the class-action suit penalizing Volkswagen Canada for cheating on its NOx tailpipe emissions took a lot longer than the American version (as you read here in Motor Mouth in July), giving the angst of TDI owners plenty of time to ferment into full-blown anger. Their anxiety was not alleviated by Volkswagen AG’s contention that, in Europe, it had a) done nothing illegal by having a computerized “defeat device” that allowed its diesels to pump out vast quantities of nitrogen oxides, and b) that its European owners were not eligible to the same level of compensation that U.S. TDI owners were getting. Judging from the, uhm, concern being voiced on various online forums, Canadian veedubbers were expecting the worst. Those fears should now be allayed. In fact, a cursory analysis of the Canadian numbers reveals that, roughly speaking, our settlement mirrors, if not the total value of the American version, then at least its intent. The cars affected — 2009 to 2015 Volkswagen Golfs, Jettas, Beetles and Passats (not to mention a few diesel-powered Audi A3s) – are the same. The various conditions and exceptions — i.e. what happens if you sold or crashed your TDI, if your diesel-powered Volkswagen was leased, etc. – follows a similar formula. Even the modifications to make the errant TDIs emissions compliant are the same. 2015 models, for instance, require the same two-stage repair; even the offer of a free oil and filter change is similar to the American deal. Millions of vehicles in Canada, an estimated one in six, have an outstanding safety recall, and auto industry experts say not enough is being done to fix them. These include cars with safety defects that may result in crashes, injury or death, according to the manufacturers. "It's just this complete circle of finger-pointing that's going on, and nobody's taking responsibility for the issue," said Kevin MacDonald, an Ottawa car dealer who is fed up with government and manufacturer inaction. Even owners of relatively new cars don't know about some recalls. Crystal Taillefer of La Broquerie, Man., is a case in point. She has lived at the same address since the day she bought her 2011 Dodge Journey brand new from the dealer. Until CBC News told her, she had no idea that a recall had been initiated for a power steering hose defect that could cause a crash without warning. "It kind of upsets me that I didn't hear about this for well over six months — and from somebody who's not the manufacturer," said Taillefer. She knows her address is on file with her dealer. She has the Christmas cards and advertisements it sent her to prove it. George Iny of the Automobile Protection Association said he has heard of other cases in which manufacturers' advertisements are reaching owners, but safety recalls are not. Canadian law requires manufacturers to contact owners when there is a recall. They also must report the repair completion rates to Transport Canada. Unlike in the US, completion rates are not made public. "It's the manufacturer's responsibility to make sure that you get as high a response rate to the recalls that they issue," said David Adams, president of the Global Automakers of Canada, a group that represents car makers like Toyota, Honda and Nissan. "And I know manufacturers are going to extremes to try and do that." Over at the Automobile Protection Association, George Iny isn't buying that. He doesn't think manufacturers are doing everything they can. Car owners aren't the the only people with trouble keeping a handle on open recalls. The people who sell vehicles are also frustrated. Ontario car dealer Kevin MacDonald wrote to his industry association about toughening the laws around open recalls and better informing the public about defects. The industry association pointed him to the province. The province directed him to the federal government which directed him back to the province. American auto safety crusader, and APA Board Member, Clarence Ditlow, passed away on November 10, of cancer. APA Executive Director, George Iny, recounts Clarence's influences and acheivements in the North American auto industry. Read the article here. A Vancouver Island man says he’s been driving his car in fear for 15 months. Geoff Fawcett says he’s been waiting to get his 2007 Toyota Corolla repaired after receiving a recall notice from Toyota Canada in July 2015. His car needs a replacement airbag, part of the massive worldwide recall of defective Takata airbags. The notice warns of the front passenger airbag inflator potentially rupturing, sending metal shrapnel that could result in injury, even death. To minimize the risk, Toyota Canada is recommending passengers sit in the back seat until notified. “I feel very unsafe. You don’t know if you’ll have a little bump and metal fragments are going to come out at you. I mean they could even come my way as well as the passenger,” says Fawcett. Transport Canada has identified a safety issue with brakes in certain Ford F-150 trucks and is asking Canadians who own the vehicles to contact the department if they've had problems. This comes as the department is already probing unrelated safety issues in some other Ford models. It is also pursuing new legislation that could force companies to recall defective vehicles. In a release, Transport Canada said it has made "a preliminary determination that there is a safety defect" involving brakes on 2011 and 2012 F-150 trucks equipped with a 3.5L EcoBoost engine. The department has received over 100 complaints involving a failed electric vacuum pump in the power brake system, which it says "may result in an unexpected longer stopping distance..."
Lee-Gracey also said Ford provided an extended warranty program for all vehicles in the U.S. and Canada, one that covers the electric vacuum pump for 10 years or 240,000 kilometres. George Iny, executive director of the Automobile Protection Association, an independent vehicle consumer advocacy group, is one of those who supports stronger government power when it comes to vehicle safety. "In Canada, people think we have recall legislation, but actually it's a notice of defect," Iny told CBC News. "This is a pattern at Ford in the last five or six years," Iny said, adding, "We don't get it." He said the company used to have "a culture of caring," and the lack of concern is puzzling. "They're letting things sort of get away," Iny said. "Maybe it's being driven simply by monetary concerns over their reputation or perhaps [monetary concerns] over a safety issue and it is worrisome for us." Transport Canada has 17 active defect investigations underway, eight of them involving Ford vehicles. Kristen Chafe bought her 2014 Ford Edge because she thought it would be a dependable, sturdy vehicle. But the car only had about 23,000 kilometres on it when a major component... blew apart. Fortunately she'd pulled over just in time. The power transfer unit, or PTU, which directs power to the wheels in all-wheel drives, had completely split in two. George Iny with the Automobile Protection Association says Ford has known about problems. "It’s a significant issue," he said. 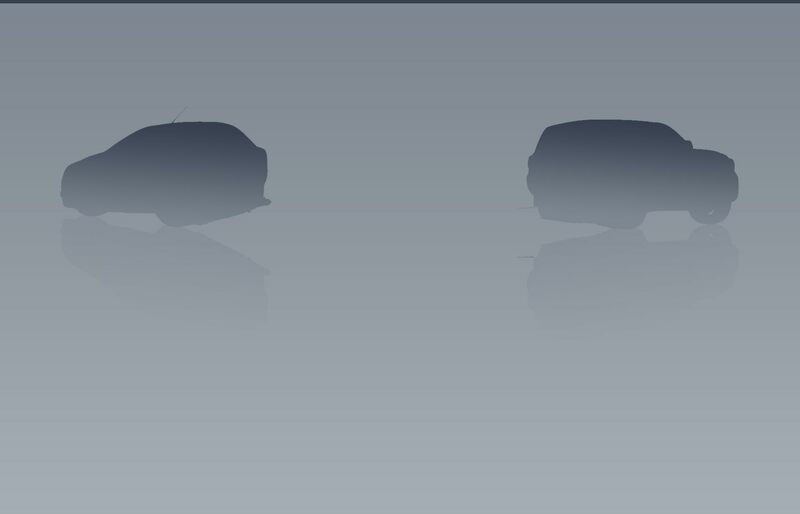 “The designs vary and this particular one seems to be undersized or under designed for the vehicles in which it is in"
Ford never responded to our questions about a possible defect either, only stating "there are no recalls open on the 2014 Edge for issues relating to this customer's concern." Transport Canada told CTV News it has received complaints of leaks and poor performing Ford power transfer units, but added the complaints do not appear to have the characteristics of a safety defect issue. So who's calling it a defect? Iny, for one. "We are,” said Iny. “I do see a weakness in that unit absolutely because they are failing and it's expensive." Iny says Ford should at least notify owners and offer extended warranties. Chafe’s warranty was extended but she wants greater assurances. "They replaced the PTU but will this happen again?" questioned Chafe, "I don't feel safe." The Automobile Protection Association says consequences could have been much more serious if Chafe had been driving at highway speeds when the failure happened. PTU units could cost as much as $3,000 to replace. An Alberta man is warning others about the practices at a major used-car dealer in Calgary after buying a 2013 Dodge Ram 1500 with $37,538 in past insurance claims, which he says were undisclosed. "I was told three times, maybe four times, 'perfect condition,'" said Eric LaPlante, who bought the truck from the Gallery of Fine Cars last fall for $33,995. LaPlante said he found out about the truck's checkered past months later, when he took it to an appraiser at an official Dodge dealership. The Automobile Protection Association — a consumer rights group started by Phil Edmonston, author of the Lemon Aid guides — says it's time for Alberta to introduce stricter rules for used-car dealers. "Once it's past the curb, [car dealers] will do everything possible not to compensate you for their mistakes," said George Iny, executive director of the organization. In Alberta, used-car dealers are not required by law to show third-party car history reports such as CarProof or CarFax to prospective buyers. But companies can still get in trouble for hiding previous damages. The Automobile Protection Association (APA) says Alberta needs to tighten the rules on how used car dealers advertise and sell their vehicles. On Monday the Calgary Eyeopener shared the story of Eric LaPlante who was left in the dark about the vehicle's nearly $40,000 history of damage that was never disclosed to him. Although the Gallery of Fine Cars in Calgary, where he bought the car, disagrees. George Iny, executive director for the APA, shared his buyer-beware tips and warns of arm-twisting tactics. Transport Canada is investigating a "significant" number of concerns over Ford Focus and Fiesta models after owners reported their cars acted erratically, in some cases jerking forward or stopping suddenly. The federal department opened what it calls a "defect investigation" in February 2016. As of Oct. 20, it had received complaints from 128 Canadians about the transmission in some 2011-2016 Ford Fiesta and 2012-2016 Ford Focus vehicles. One of those complainants is Jordan Bonaparte, a Halifax man who bought a new Focus in early 2013 as he and his wife awaited the birth of their son. "I don't think it's safe to be on the road," he said. You were told earlier this year of big new changes to Ontario’s auto insurance policies coming into effect in June. It was all over the media and your insurance company would have contacted you. We are inundated with information proclaiming to be the “most important” and “don’t miss this,” and I really have no idea how to cut through the clatter and clutter, only that we must find a way. Insurance is administered by companies, but signed off on by the province. Changes can happen across the country, and there is no way to stress how critical it is to be aware of those changes. Adam Bari, a 34-year-old father of twins, found out in truly dreadful fashion what a difference a day can make. Or even just 12 hours. Bari was t-boned on his motorcycle on June 1st, 2016, just outside of Hamilton, Ontario. As the CBC reported at the time, he was deemed not at fault, though his injuries included “brain trauma, multiple broken bones in his right arm, leg and hand, as well as internal organ damage.” Mistakenly pronounced dead at the scene, he awoke from a coma a month later; he also awoke to the news that he will face a long rehab, mounting medical costs and his insurance coverage to compensate had shrunk, just 12 hours previously, from $2 million to $86,000. A Surrey mother says she’s afraid to drive her vehicle after repeated attempts to fix an airbag issue in her Nissan have failed. Desiree Cairns has owned her 2015 Nissan Murano for less than a year, and it only has about 10,000 km on it, but she says the airbag warning light keeps coming on while she’s in the front passenger seat. She says even though she’s taken the vehicle in at least 13 times for service, the problem has persisted. But multiple attempts to fix Cairns’ vehicle haven’t worked. The computer was reset six times and reprogrammed three times; the occupant classification system sensors were replaced twice; and the control computer was also replaced. George Iny with the Automobile Protection Association says after that many unsuccessful repair attempts, the company should offer the owner a new vehicle or a refund. October 4, 2016. How do I know that used car for sale wasn’t formerly an Uber ride? If you bought a car in the last 15 months, you may be entitled to a refund of the fees you paid over and above the advertised price, according to the Manitoba Motor Dealers Association. "If they've said something is non-negotiable and forced it on a consumer, beyond the advertised price, then the consumer should be getting that money refunded," executive director Geoff Sine said in an interview with the CBC News I-Team. George Iny, director of the Automobile Protection Association, said the province needs to get tougher with enforcement. "I don't know why the industry is so resistant to integrity in price advertising but it is, and I guess the oversight in Manitoba — you need to step up your game," he said. It's a law that is supposed to protect car buyers from surprise fees. But more than a year after it came into effect, extra fees are routinely being added to the advertised price of vehicles at many dealerships. As of June 1, 2015, car ads in Manitoba must state the total price, including all additional charges except the PST and GST. Charging extra fees in and of itself is not against the law. The legislation aims to ensure "truth in advertising." But that is not what the I-Team found at dealership after dealership when it sent in undercover shoppers. Seven out of 10 salespeople stated there were fees and charges ranging from $599 to $1799 on top of the advertised price. All three Gauthier and four out of five Birchwood salespeople said fees over and above the advertised price had to be paid. "It's a deceptive practice. It's a form of consumer fraud," said George Iny, director of the Automobile Protection Association. "It hurts the customer because of course, they don't realize that was part of the bargain." Paul Rubner thinks what's happened to his Ford F-150 is criminal — and he should know, he's a detective with the Calgary Police Service. The heating system on his 2009 truck suddenly failed, blowing only extremely hot air on the passenger side — so hot, no one could sit in the passenger seat. But the biggest problem? It can't be fixed. "It's crazy," says Rubner. "My truck is only seven years old." The director of Canada's Automobile Protection Association says Ford should make things right for its customer. "It's not acceptable ... for the largest-sold vehicle in the country to be an orphan or stranded, because a certain component can't be sourced anymore," says George Iny. Go Public searched online for the F-150 HVAC module, checking dozens of sites offering aftermarket parts. When we couldn't find one we asked Toronto mechanic Eli Melnick to try to hunt the part down. Melnick has more than 40 years' experience and has repaired over 100,000 vehicles. He's sourced used car parts countless times, but when it came to our request? "Very frustrating!" says Melnick. "With today's world of electronics and internet, we literally have access to worldwide suppliers. Ordering parts is usually quite easy." Melnick searched for several hours calling large and small aftermarket suppliers, but no one had the part. "I was really surprised," he says Melnick. "You're talking about an F-150. It's the number 1 selling vehicle in North America, so why are we having this grief?" He shrugs his shoulders and sighs. "This does not look good on Ford." The director of Canada's Automobile Protection Association says Ford should make things right for its customer. "It's not acceptable ... for the largest-sold vehicle in the country to be an orphan or stranded, because a certain component can't be sourced anymore," says George Iny. Automakers earn a lot of money selling parts, so they usually continue making them for years after a vehicle is discontinued or replaced with a newer model. "To have run out after seven years, means all the spares they originally made were put into F-150s," says Iny. Iny says vehicle owners are sometimes left in the lurch when the manufacturer pulls out of the North American market, as happened with Saab, Daewoo and Suzuki. But even then, companies didn't simply declare parts obsolete. Suzuki committed to supplying parts for 10 years, but that commitment was voluntary. Canada has little consumer protection when it comes to ensuring companies provide auto parts for any period beyond a vehicle's warranty. A piece of consumer legislation in Quebec provides the best protection in the country. "If a product requires parts and service in Quebec," says Iny, "you are, under the statute, required to make the part for a reasonable amount of time." The Automobile Protection Association says a "reasonable" amount of time would be 15 years, because that's the average life of most vehicles on Canadian roads, including Ford pickup trucks. Iny would like to see consumer protection in every province that would force automakers to provide parts for that long. "The carmaker has to be committed to supplying parts that are necessary for that vehicle to perform," he says. In the wake of a Tesla car’s fatal crash while on autopilot, German lawmakers are proposing mandatory “black boxes” for self-driving cars, similar to the devices in airplanes that record the moments before a fatal accident. The idea is that this type of recorder would help authorities piece together what happened in the moments before a collision, and determine whether a human or a machine was to blame. Privacy advocates have long been wary of event data recorders in regular cars, and the risk of sensitive information getting into the wrong hands will be the same for autonomous vehicles, Iny said. Kia is being sued over engine failures in the U.S. and has responded by offering extended warranties on some Kia Optimas in both the U.S. and Canada. The lawyer representing the Plaintiffs in the lawsuit, Matthew Schelkopf, claims the failing engines are the same ones that were used in Hyundai Sonatas that were recalled last year. Kia Canada attributed the engine failure to low oil levels as a result of lack of scheduled maintenance. But George Iny with the Canadian Automotive Protection Association doesn’t believe that’s what caused the failure. “It’s not true that it’s related to an oil change that you missed 50,000 km ago. It could happen in other situations as well,” he said. Iny believes Parmar’s issue is related to what is happening with seized engines in the U.S.
July 5, 2016. Can I remove air bags if they are recalled, but can't be replaced? If you’re afraid to get into your car, driving with no air bag is likely safer than driving with an air bag that could kill you in a crash, says the Canada Safety Council. The potential danger with the Takata air bags isn’t that they won’t open in a crash - it’s that they could open with too much force and spray metal shards through the cabin, Marchand said. Worldwide, more than100 million vehicles from at least 13 manufacturers need air bag inflators replaced after at least 11 reported deaths. None of those incidents involved BMW. There have been no reported deaths or injuries in Canada, said the Automobile Protection Association. “The risk here is remote,” said APA president George Iny in an e-mail. Takata uses the chemical ammonium nitrate to create an explosion that inflates air bags in a crash. Over time, if that chemical is exposed to heat and humidity, it can burn too fast. Even after it’s updated this week for the first time since the 1970s, Ontario’s used-vehicle safety inspection is “mostly visual” and no substitute for a prepurchase inspection from a mechanic, a Toronto shop owner said. The rules for vehicle inspections vary across Canada. We’re not looking at commercial standards – just at standard passenger vehicles that haven’t been rebuilt or written off. June 29, 2016. My leased vehicle was in an accident – what are my options? Is the crash already out of the bag? Even if they don’t ask and you don’t tell, they may find out anyway. “If fixed by insurance, or even estimated at a body shop, an accident will more than likely will show up in a CarProof vehicle history report irrespective of any declaration,” said George Iny, president of the Automobile Protection Association (APA), in an e-mail. Plus, the insurance company may have informed the car company, too. For example, you could be charged if you put on tires that are of lower quality than what was on the car originally. If the car is now worth less because of the collision, it’s the car company’s problem, not yours – you don’t have to pay for that loss, Iny said. “Loss of value after a major repair completed to a commercially acceptable standard is assumed by the lessor,” Iny said. For APA’s advice on lease return issues to watch out for, visit our lease return page. June 28, 2016. Volkswagen agrees to landmark $15.3-billion emissions settlement in U.S.
Volkswagen AG has agreed to pay as much as $15.3 billion (U.S.) to settle consumer lawsuits and U.S. government allegations that it used illegal software to defeat emissions testing — while, in Canada, parties to class actions are expected to offer a progress report to the courts by July 29. “Our hope is to provide remedies to Canadians on pace with U.S. customers,” Volkswagen Canada Inc. spokesman Thomas Tetzlaff said in an email. George Iny, executive director of Canadian consumer group the Automobile Protection Association, said drawn-out class-action proceedings in Canada could be avoided if VW offers compensation modelled on the U.S. settlement to vehicle owners here. VW said in September that 11 million of its diesel vehicles worldwide were outfitted with “defeat device” software that showed the engine meeting tailpipe standards during testing, but that shut off when the vehicle was being driven. Read the Ontario Superior Court of Justice notice on the APA website. June 16, 2016. Do drivers in Atlantic Canada need more frequent car maintenance? Do drivers in Atlantic Canada need more frequent motor vehicle maintenance? One Halifax woman was told she did, but now she's questioning that and is asking for a refund for what she considers unnecessary work performed by a Halifax dealership. "They said the reason they had recommended the services is because I drive in special conditions, and the special conditions are because I live in Atlantic Canada," Mary Jane Hampton said. George Iny, executive director of the Automobile Protection Association, told CBC News his organization sees examples of overtreatment when it comes to vehicle maintenance, noting special operating conditions could apply to most of the country except the West Coast. "[However] if you're not towing, if you're not idling a long time or doing just very short trips all winter where the vehicle doesn't warm up, the standard interval would be acceptable," he said. Read the full story on the CBC website. May 31, 2016. What you need to know before buying or selling a used car? Of course there is a gap between what they offered you and what you looked up online. They have to make a profit – there goes part of your difference – and many of us overestimate the value of our cars. And while a dealer can certainly get those tie rods replaced or those chips repaired cheaper than you can, it still has to be fluffed up to a new buyer’s level. “Don’t be a price junkie,” says George Iny, president of the APA. While there may be dozens of listings for the car you’re considering, no two are identical. Lowball prices are a red flag, says Iny, and APA investigations have discovered that a price too good to be true always comes with a story – a bad one. Instead, look to the higher price points and use examples of those priced lower to negotiate. Read the full story on Driving.ca. May 24, 2016. Are tighter rules needed on recording devices in cars? It may be 2016, but many cars in Canada have a bit of George Orwell's novel Nineteen Eighty-Four in them. Most vehicles built since the early 2000s contain event data recorders that silently log everything, such as braking, speed, steering and whether a seatbelt is buckled. Initially created to improve safety and car performance, the devices have become a tool for police to reconstruct crash scenes and for insurance companies to assign accident blame. "There are significant privacy concerns. First of all, your car is basically monitoring itself and to some degree monitoring your behaviour but you don't know it, unless you are told," said George Iny, the director of the Automobile Protection Association. "I think if a device is surveilling you, or monitoring you, that there have to be restrictions on it," said Iny. "I think the basic rule should be that you own your data and if someone is collecting it — even if it's with your consent — that they have to do it within certain parameters." May 24, 2016. I hit a big pothole, could there be damage I can’t see? George Iny, president of the Automobile Protection Association says potholes cause damage to rims and tires but can also cause suspension damage like a broken ball joint or a blown strut. Read the full story on the Globe & Mail website. According to John Raymond at the Automobile Protection Association, some manufacturers have been dealing with customers on a squeaky wheel basis; you complain loudly enough, they’ll offer up a solution. The APA notes that one suggested alternative, to deactivate the potentially faulty airbag, would open up too much liability in compromising a major safety element of the vehicle. This Honda notification is a welcome offer to affected owners, and it’s the right thing to do. May 3, 2016. Do I have to service my car at the dealer to keep the warranty valid? Whether you buy or lease, it shouldn’t be the dealer’s choice where you get your car serviced – it’s yours. No manufacturer’s warranty can force you to get your service done by the dealer, says George Iny, president of the Automobile Protection Association (APA), a subscription-based consumer watchdog. Four months after Carolyn Neilson brought home her brand new 2016 Ford Escape, she's frustrated that the car radio too often won't work and the dealership seems unable to fix the problem. "It's one of many, many complaints Ford has been having roughly since 2011 with their in-dash SYNC technology. Several Ford models have been affected and often, in the earlier years, with far more crippling malfunctions than what is described here," he told CBC News. Iny said it may take six months to a year for a car maker to work these things out. Volkswagen owners in Canada could be forgiven for feeling underwhelmed this week after they got their hopes up ahead of a settlement that was supposed to outline how the automaker planned to fix their vehicles, and maybe even compensate them for their troubles. "VW was the Lance Armstrong of emissions cheating," said George Iny of the Automobile Protection Association. "They got away with it for a very long time and looked brilliant, and finally the whole house of cards came crashing down." George Iny, director of the Automobile Protection Association, and Mark Petit, president and CEO of Taxelco, join BT hosts to discuss the future of electric cars in Montreal. Volkswagen Canada Inc. will buy back, repair or compensate owners of more than 100,000 vehicles equipped with diesel engines that pumped pollutants into the air as part a scheme to cheat on emissions tests – a scandal that has damaged the reputation of its parent company Volkswagen AG and is likely to cost the auto maker billions of dollars. George Iny, who heads the Automobile Protection Agendcy, a Canadian consumer group, said there are about 30 lawsuits filed against Volkswagen Canada, most of them seeking damages to compensate owners of vehicles whose value has plunged. Jon Carson wants to protect Alberta motorists by providing better warranties and more safeguards in the auto repair industry. "I think most of us, anytime we go into a repair shop are wondering — how did they come to this number?" The 24-year-old Edmonton-Meadowlark MLA's private member's bill would amend the Fair Trade Act by increasing consumer protection. "It will clarify the estimate process. Including that no repairs should move forward unless an estimate has been completed and agreed on." In 2011, the Canadian Automobile Protection Agency did a Canada-wide investigation into auto repairs. In Calgary, about 20 repair shops were presented with the same, simple repair. "There were very big differences. The cost of a diagnosis and general inspection ranged from $30 to $350," said spokesperson George Iny. "We're not against paying people in the repair trade well. Our concern though is when the work isn't so great." He says only a third of the shops visited in Calgary were able to find the problem, which was a loose cable at the top of the battery. "In some cases the shops couldn't find it and in other cases they actually recommended services that weren't necessary." When Edaleen Dairy opened the first of three new outlets in Washington state, the Canadian dollar was worth about the same as the U.S. dollar and shoppers were flowing across the border from British Columbia. Five years later, lower oil prices have pushed the loonie to around 74 U.S. cents, and the traffic for Edaleen’s milk and ice cream has fallen off. “We’re feeling a bit more of the pinch,” said Mitch Moorlag, general manager of the dairy, which has laid off about a dozen of its 110 employees in recent months. North of the border, the currency shifts are being felt in transactions big and small. Apple Inc. raised prices in its Canadian App Store to C$1.39 for its cheapest app from a typical C$1.19, citing rising foreign-exchange rates. Canada’s Automobile Protection Association estimates a car will cost up to C$400 more this year. For Canadian retailers, a silver lining may come in more Americans crossing into Canada to take advantage of the cheaper currency. Starting Feb. 1, auto dealers in Saskatchewan have to give buyers a "drive away price" that includes any fees and levies coming from the dealership. Those extra fees can range anywhere from $400 to $1,200. "There's a charge for paperwork, and there's something called a green tire levy," said Iny, president of the Automobile Protection Association. "These things are all fake charges. They're made to look like payments to government..."
If you refuse to pay, dealers often refuse to sell you the vehicle. "Dealers are absolutely unrepentant about this stuff," he said. "We've done many, several dozen, visits with hidden cameras rolling. The explanations you get verbally are ludicrous, deceptive and sometimes fraudulent." Iny said the hidden fees appeared around ten years ago, mainly because of tightening margins from car makers, squeezing the profits of dealerships. If it ain’t broke, don’t fix it, goes the saying. But what if it is well and truly broken, and there are still voices not keen on fixing it? The bigger issue for industry watchdog George Iny of the Automobile Protection Association is what the SSC isn’t: it isn’t a warranty. “Consumers will continue to confuse the inspection with a warranty,” he says. He would have liked to see several things that this long-awaited update didn’t deliver: real-time centralized record keeping, more transparency in the process and an inspection that goes beyond a visual one. He notes the original plans included an electronic barcoded record, which got lost along the way. He hopes the upgrade will continue to be evolutionary to be more effective to consumers. Read the full story at Driving.ca. The Automobile Protection Association agrees. George Iny, a director with the non-profit consumer protection group, says a vehicle's advertised price should include all fees. He called the administration fee "completely bogus," and said it covers a dealer's overhead costs. Other fees, such as the tire and rim warranty that includes nitrogen in tires, are grossly over-priced, he said. "A dealer will charge $299 and throw in a warranty with it that might be worth $50 or $60," Iny said. Iny said customers should be given the option of not accepting the tire and rim fee. But he said APA secret shoppers in other provinces have been told that's not possible because nitrogen is already in the tires. Another fee that crops up is for etching security information on a vehicle windshield. Iny said it's little more than insurance the dealer buys to protect the vehicle when it's on their lot. "If the vehicle is stolen from their own lot they get some money back from the company … They put little stickies on the windows and maybe a few other places of the vehicle," he said. "They may pay $60 a car and you'll pay anywhere from $200 or $300 for it..."
When contacted by CBC News, a Halifax Regional Police spokeswoman said security etching information is not recorded on police databases or used by police to track stolen vehicles. Read the APA's Review of extra fees charged by new car dealers. Drivers looking to make a little cash and sell their used cars will likely have a harder time getting the green light on a safety inspection come July. The province is updating their inspection standards for the first time in 42 years, requiring mechanics to go through a more detailed, 96-page checklist before passing a car. George Iny, director of the Automobile Protection Association, says he’d like to see even more transparency in the inspection process. Read the full story on the 680 News website. A prominent consumer rights advocate says Canada needs to strengthen the laws pertaining to vehicle recalls. Phil Edmonston, author of the Lemon-Aid Car guides, and founder of the Automobile Protection Association (APA) said delays in recalling dangerous vehicles are unacceptable. Read the full story on the Auto Service World website. Canada must strengthen federal legislation governing vehicle recalls, as the current act doesn't let the federal government recall a vehicle that has been assessed as unsafe, a consumer advocate says. "When it comes to car recall campaigns, the Canadian Motor Vehicle Safety Act is what I call a zombie law," Phil Edmonston told CBC News. "It's there. It's not quite alive; it's not dead. It's very seldom used." Edmonston, a former MP who founded the Automobile Protection Association and is the author of Lemon-Aid Car guides, said he's been lobbying the federal government and car manufacturers for changes for decades. Edmonston said the Harper government proposed improvements, but those changes are now in the hands of the Liberals. He's hoping the Trudeau government will see the Conservatives' bill as an important piece of legislation. "It isn't all that political," Edmonston said. "I don't know anybody who has told me that, 'I don't want to have my car recalled if it could kill me,' and that's where we are right now,"' he said. To get around mileage restrictions that are often part of the leasing agreement, drivers often turn to the lease takeover market, said Jay Miri, founder of Car Lease Canada, a website that connects those wanting to drop their lease with those who are looking for a cheaper leasing alternative. “Many of the lease takeovers posted by our users offer higher mileage allowances, extended warranties, and cash incentives — options that are highly desirable for Uber drivers,” he said. George Iny, director of the Automobile Protection Association, said taking over a lease from someone who has paid for, for instance, an additional 40,000 kilometres could be beneficial for a potential Uber driver. However, while the lower cost — and ability to lease a new car — of being an Uber driver may be alluring, operating as a taxi without purchasing can be risky, and costly. “The standard owner’s policy is very clear, that there’s an exclusion of coverage if you use it for commercial purposes. You are not allowed to make money using that car,” said Chella Turnbull, a lawyer at Zuber and Company LLP in Toronto. Read the full story on the Financial Post website. December 15, 2015. How do I know if the dealer is offering fair value for my trade-in? The price is right – if you’re the dealer. You should be able to get more than you’re being quoted for a trade-in – but you’ll get even more if you sell the cars yourself, experts say. There may not be snow on the ground in the Montreal area, but today is still the deadline to equip your car with winter tires. Quebec's automobile insurance board, the SAAQ, requires all taxi and passenger vehicles, as well as mopeds, motorized scooters and motorcycles to be outfitted with winter tires from Dec. 15 to March 15 inclusively. Fail to do so, and you'll face up to $300 in fines. In the spirit of the season, here are five things to know about your winter tires, according to George Iny of the Automobile Protection Association. Some consumer goods are proving popular with U.S. buyers. Americans are turning to Canada to buy high-end vehicles, according to Automobile Protection Association director George Iny. “We’ve noticed that larger pickups and SUVs are being snapped up at auctions by U.S. buyers. They have a big advantage [in currency terms] and they’re using it to their advantage,” he said. Iny revealed that a recent survey by his association indicated substantially fewer U.S. vehicles for sale at Canadian lots. “Usually about 15 per cent of dealers would have vehicles from the States. None had U.S. vehicles in a recent survey of 20 dealers,” Iny added. Read the full story on the Toronto Star website. Canadians are a prudent people for the most part, except when it comes to outfitting vehicles with winter tires. Data released last year by the Tire and Rubber Association of Canada showed about one in two motorists opt not to put on winter rubber, placing their faith in so-called all-season tires and their innately Canadian winter-driving skills. The Automobile Protection Association (APA), the Montreal-based consumer watchdog, recently issued its own winter-tire testing data. Volkswagen's emissions test-rigging scandal is shocking many in the industry because of how intentional the auto company's deceit seems to have been. The German automaker said Tuesday that 11 million diesel vehicles worldwide were outfitted with software designed to rig emissions tests. The so-called defeat device is illegal in Canada and the U.S., and the company could face billions of dollars in fines for using it. On Tuesday, VW said it would set aside $9.6 billion to deal with the consequences of the scandal. George Iny, from the Automobile Protection Association, said cars are only tested in labs, not in real-world situations. As a result, emissions testing is not as accurate as it could be. "The carmaker prepares the vehicle for the test, sort of like a student who crams for the exam, but three weeks later hasn't really integrated most of the material," he said. CBC News - Could Volkswagen scandal be diesel's death knell? Manitoba Minister of Consumer Protection Ron Lemieux will start consultations with the automobile industry on how to address unfixed safety recalls after a CBC investigation revealed more than one in six Manitoba cars have at least one. Lemieux told CBC he brought his car into the dealership on Thursday for regular maintenance and coincidentally, they told him about an unfixed recall. "I was very encouraged, really overjoyed to hear that the minister would take that interest in the issue." said George Iny, director of the Automobile Protection Association. A large number of Manitoba vehicles on the road have unfixed safety recalls that may cause crashes, injuries and even death, a CBC news investigation has found. CBC news performed safety recall searches on 50 vehicles found in parking lots and online. Sixteen of the cars had unfixed recalls that included risks of brake lamp problems, airbag malfunctions and ignition key position malfunctions. Some of the owners approached by the CBC I-team said they weren't aware of any recalls on their vehicles. George Iny, director of the Automobile Protection Association, called the risk of injury due to a recall "remote" but called on all levels of government to update recall legislation. Canadians continued to snap up record numbers of SUVs and pickup trucks in July, a trend that will make it very difficult for automakers to meet new fuel-efficiency standards outlined by the government last week. August 10, 2015. Are You Deeply In Debt After Buying a New Vehicle? Many Canadians are financing a new vehicle purchase over six, seven or even eight years, while others agree to an interest rate of more than 10%. According to a report by the Automobile Consumer Coalition (ACC), we could soon be facing a crisis. Read the full story at Auto123.com. Find out more about long term car loans. Ottawa admits it was left out of the loops on the massive buyback of FCA vehicles in the U.S., CBC's Ron Charles reports. Watch the video on the CBC website. 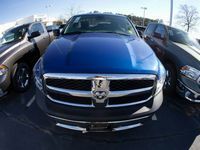 Fiat Chrysler must offer to buy back from customers more than 500,000 Ram pickup trucks and other vehicles in the biggest such action in U.S. history as part of a costly deal with safety regulators to settle legal problems in about two dozen recalls. Read the full story on the CTV website. July 20, 2015. Who do you call if your new car is a lemon? The number of “lemons” on the road is often still batted around at 10 per cent; that’s unfair and dated information. George Iny of the Automobile Protection Association (APA) stresses the number is actually closer to one per cent. That doesn’t mean only one per cent of cars will experience some issues, but that more like one per cent are actually lemons in the way most of us define the word: a car that is beyond saving. Don’t be alarmed by recall notices. Recent devastating losses have made the industry a little jumpy, and some manufacturers are very much playing “better safe than sorry”. Getting ahead of the curve on a potential issue is preferable to pretending it doesn’t exist. If your car is older and you had a problem fixed on your dime that is now facing a recall, contact the manufacturer for recourse. An APA membership ($77 first year, $39 renewal) provides counselling and directions on many issues like this one. Read the full story on the Driving.ca website. Michael Turk is a lawyer with the Automobile Protection Association (APA), a non-profit consumer association I work with on my TV show. “It remains the question I can count on getting every week, even after years and years of doing this,” he tells me. I’ve spoken with advocates like the APA, and I’ve spoken with car dealers, psychologists, and market experts. Some emotional switch gets flicked at some part of the process when the pen hits the paper. A salesman will call it “closing a deal”. I liken it to that moment a calf falls over and gets its legs all tied together. Toyota Canada has expanded its recall of vehicles with Takata airbags to another 255,000 vehicles in Canada. George Iny director of Canadian Automobile Protection Association says weakness in the airbag is more likely to occur in warmer more humid climates. Read the full story on the CBC website. There is no consumer protection legislation in Alberta that deals directly with deposits, according to Laura Lowe of the Alberta Motor Vehicle Industry Council (AMVIC). It's the same story across the country, except in Quebec, which give a consumer two days to get a deposit back when the contract is for a vehicle that needs to be financed, according to George Iny of the Automobile Protection Association. Read the full story on the CBC website. Despite a widespread perception that new car dealers rake in the dough on every sale, the reality is the opposite of Apple. No one sells a car at full price in Canada in 2015. No one. The market is awash in consumer-pleasing, but profit-sapping sales sweeteners, both from the dealer and factory. In this age of hybrid, electric and even hydrogen-powered cars, there is something still very anti-establishment about buying a car with more get up and go than most full-size trucks or SUVs. For buyers of these muscular machines, value often takes a back seat to the excitement you get when you slip into the driver’s seat. But that doesn’t mean you have to throw caution to the wind when you put your money down on a so-called “Pony car,” so we tasked our expert panel with rating five of the fastest daily drivers to find which will steer you clear of buyer’s remorse. Read the full story on the MoneySense website. A driver's advocacy group is urging senior citizens who are 75 years or older not to sign car leases after the widow of a 79-year-old Montreal man who entered a five-year contract with a local Toyota dealership was told she would be responsible for the vehicle. "Leasing is usually just a bad idea for seniors once you're past 75 years old and here's why: at 80 you have a driving test [administered by the Société des Assurances Automobiles du Québec]. If you don't make it, you're stuck with a lease on a vehicle that basically you can't use anymore," said George Iny, president of the Automobile Protection Association. Iny said the APA has heard about a dozen complaints from seniors who feel they have been wronged by the automobile retail industry in the last two years. Read the full story on the CBC website. So that pesky check-engine light is on. Will you pass the emissions test? If you're in Ontario, the short answer is no. We’ve all seen them – car dealership ads promising deep discounts or low monthly payments on brand new cars. But does the promise in the pitch disappear at the dealership door? That’s what the Automobile Protection Association’s (APA) team of mystery shoppers wanted to know when they visited 22 new car dealerships across Calgary. Read APA's annual report of the auto industry as seen on CTV W5. In October 2014, APA mystery shoppers visited 22 new car dealerships in the Calgary market to shop for new vehicles. The APA shoppers used ads for popular vehicles from the three domestic and four Asian carmakers. Visits were recorded on W5’s cameras and monitored by a retired auto dealer. Overall, only three of 22 dealers earned a PASS rating. Price misrepresentations were higher and deceptive practices more prevalent and more sophisticated than when the APA last shopped for new vehicles in Alberta, back in 2002-2003. Read the full report. Being administered by the automaker itself, rather than the dealer, means the warranty will be honoured in all the brand’s dealerships. “Factory-backed is better than an independent warranty,” says George Iny, president of the Automobile Protection Association (APA). “It’s the most valuable component of any CPO program.” More info on CPO vehicles. Quebec's love of small cars is transforming into an affair with SUVs. Almost one new vehicle in three now sold in Quebec is an SUV according to Protegez-Vous magazine and the Automobile Protection Association. Over the past ten years the number of large cars sold in Quebec has tripled, now sitting at 30.2 percent of all vehicles sold in Quebec in 2014. March 17, 2015. Which high-tech safety features are worth getting? When I’m in the market for a car, I like to check out the latest safety features available to protect my family. Some of the new options are so high-tech, however, it can be tough to determine which are worth buying. George Iny, director of the Automobile Protection Association in Toronto, says even car salespeople are not always well informed about the features they’re peddling. I asked Iny to explain how some of the latest safety technology works and what he considers to be the most worthy new options. Motorists were left fuming at the pumps on Tuesday morning after gas prices took another sudden, unexplained bounce during the overnight hours on Monday. A leaked document released by the Wildrose party shows the Alberta government has serious concerns about the quality and impartiality of investigations done by the Alberta Motor Vehicle Industry Council (AMVIC). A Go Public investigation in March 2013 found consumers who said they were told by car dealers to pay hundreds of dollars for optional warranties they hadn’t requested. Quebec's financial watchdog has lowered the boom on nine car dealerships for questionable practices when it comes to selling insurance policies. The Autorité des marchés financiers fined the dealerships between 10 and 17 thousand dollars each, for overselling replacement costs or similar insurance products. Don't want to go broke? Then do lots of research and take into account the long-term maintenance costs of that shiny new or used car. Everybody, whether buying new or used, wants to get the best deal possible on the car best suited to their needs. If you know little about cars and don’t want to be bothered to learn, don’t buy a used expensive-when-new, expensive-to-repair vehicle. An Ontario woman has decided to Go Public, as she fights to get Mini Canada, owned by BMW, to pay $10,200 to repair her Mini Cooper, after a blown engine that left her car unusable. George Iny, president of consumer advocacy for the Automobile Protection Association in Canada, says his organization hears a lot of complaints about the older Mini models — especially those manufactured between 2002 and 2008. "A used Mini is a piece of junk. And the pity is, unlike other BMW products, it's sold to people who would otherwise be driving in a small Volkswagen or Toyota or something like that," he told Go Public. If you have had a similar experience with a MINI, we ask that you fill out this form. The province's car insurance board says it will soon have another tool to make Quebec's roads safer. The SAAQ will launch a pilot project where it will ask drivers to voluntarily install a GPS (global positioning system) in their vehicle so that it can gather data on how they drive. A little-known black box buried in the guts of many GTA vehicles makes drivers with poor credit the hapless targets of what is becoming a 24-hour surveillance culture. Jeffrey Newhouse, president of Canadian Title Loan, an Oakville company that uses starter-interrupters, said customers with bad credit agree to having one installed when they sign up for a loan. From Acuras to iPhone apps, suits to sweet potatoes, Canadians are going to be paying more for imported goods, thanks to the loonie's fall against the U.S. dollar. The Automobile Protection Association says Toyota and Honda, among others, raised prices in the first week of January. Several luxury brands, including Lexus, Acura, and BMW have also made changes to their pricing, with Audi reportedly set to follow in mid-January, the association says. A Mississauga used car dealer is facing a $7,000 fine for selling four vehicles without disclosing accident damage repairs greater than $3,000, the Ontario Motor Vehicle Industry Council (OMVIC) said Thursday. Canadian auto recalls hit an all-time high last year, with more than eight million vehicles affected as several high-profile problems with faulty airbags and ignition switches brought safety issues to the forefront. Auto makers issued nearly 600 recall notices on Canadian vehicles in 2014, according to data obtained from Transport Canada.